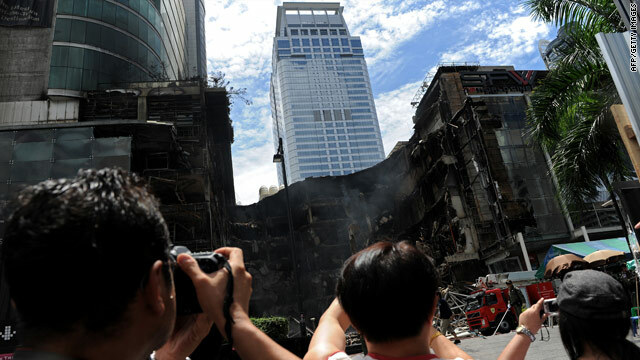 Thailand's biggest shopping mall, Central World, was one of more than 30 buildings set alight by protesters in May. 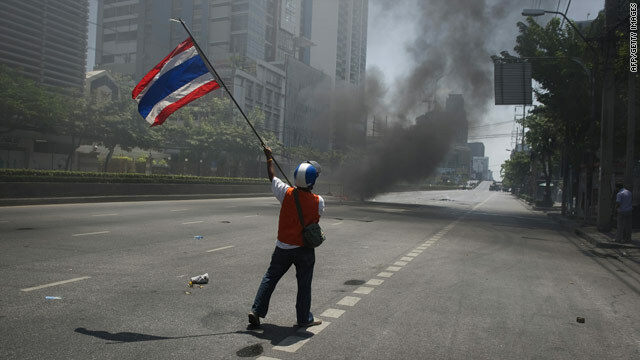 Bangkok, Thailand (CNN) -- The Thai government on Sunday extended a curfew in the capital and nearly a third of the country's provinces for at least two more nights, but shortened the hours when residents are required to stay off the streets. In his weekly television address, Prime Minister Abhisit Vejjajiva said officials would extend the curfew, which had been scheduled to end Sunday morning. He said the curfew would stretch from 11 p.m. to 4 a.m. -- starting two hours later and ending an hour earlier than it had for the past three nights. He said officials would review whether a curfew remained necessary in the coming days. In his address, Abhisit repeated his push for national reconciliation. He said an independent fact-finding committee would review events that took place during the protests and officials would conduct a national survey to determine peoples' needs and wishes. 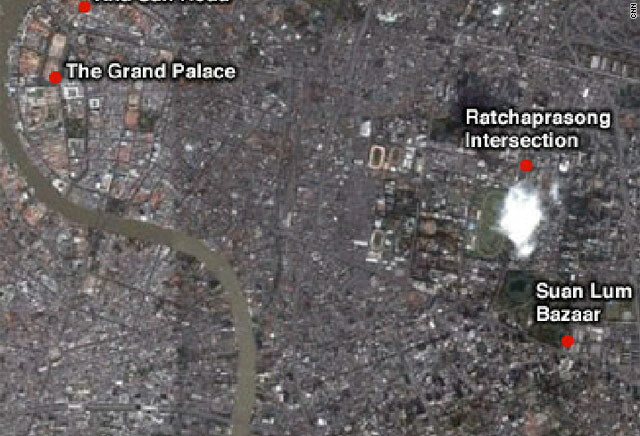 "Everything is calm and returning to normalcy," he said, according to the Thai News Agency. Crews are cleaning up Bangkok's streets and government agencies and schools will reopen Monday, Abhisit said. More than 1,000 businesses have registered for assistance after sustaining damages as protests, riots and clashes between anti-government demonstrators and troops rocked Bangkok's main shopping district, he said. Officials imposed a curfew in Bangkok on Wednesday after government troops surged into Lumpini Park, where anti-government Red Shirt demonstrators had amassed. After hours of intense street battles, five anti-government protest leaders were taken into custody. At least three more turned themselves in Thursday. Red Shirt leaders called off the protest, but some did not heed the call as smaller riots erupted in the city. More than 30 buildings -- including a bank, a police station, a local television station and Thailand's biggest shopping mall -- were set ablaze. At least 50 people have been killed in clashes in the past several weeks and nearly 400 people injured, government officials said. The Red Shirt opposition members support former Prime Minister Thaksin Shinawatra, who was ousted in a bloodless military coup in 2006. They had been protesting for weeks, demanding that Abhisit dissolve parliament and call new elections.